Rachel Lindsay’s Rx Proves Comics Are Perfect for Tackling Mental IllnessIt’s a meditation on a manic episode, and it’s more complicated than it looks. Did The Bachelor Creator Just Subtweet Peter Kraus?Don’t hold out hope for the fan favorite to be the next Bachelor. 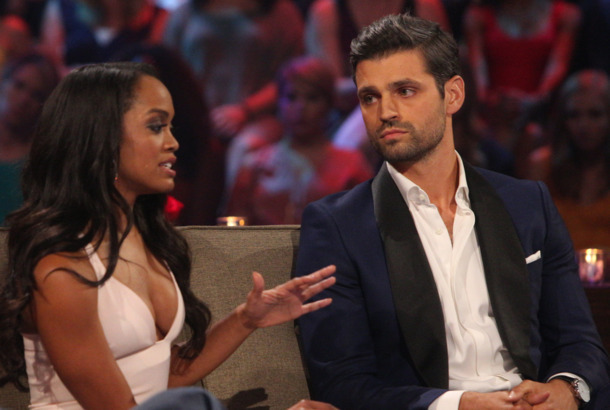 The Bachelorette Finale Denied Rachel Lindsay Her Happy EndingSo much drama and so many questions. Why the Bachelorette Finale Was So FrustratingIt was a jumbled, weirdly paced, remarkably confusing mess. The Bachelorette Season-Finale Recap: Win by DefaultSomething went massively off the rails here. And the Winner of The Bachelorette Is …Just as you expected: It was the handsome man with the great smile and extremely symmetrical face. Who Will Win The Bachelorette Tonight?Let’s take a look at the possibilities. The Bachelorette Reunion Confronts Racism, Somehow Still Lets Lee Off the HookLee had a chance to answer for his racist tweets. 37 Ways The Bachelorette Has Changed Since Its First SeasonA time capsule of televised romance and regrettable male fashion. Kareem Abdul-Jabbar Says Rachel Lindsay Was ‘Too Good’ for Nick ViallAbdul-Jabbar helped Rachel find romance on last night’s Bachelorette. Why The Bachelorette’s ‘Whaboom’ Guy Lucas Isn’t a VillainHe’s just irritating. The Bachelorette Would Prefer Not to Talk About RaceThe episode steadfastly refuses to acknowledge that anything new is happening. Jimmy Kimmel Tries to Predict The Bachelorette Top ThreeKimmel is gunning hard for a Peter win. Chris Harrison Is a Terrible Bachelorette WingmanHis introduction to this Bachelorette season’s suitors was grim. The Bachelor Is Dead, Long Live The BacheloretteThe Bachelor pivoted, as hard and as quickly as it could, away from Nick and Vanessa. 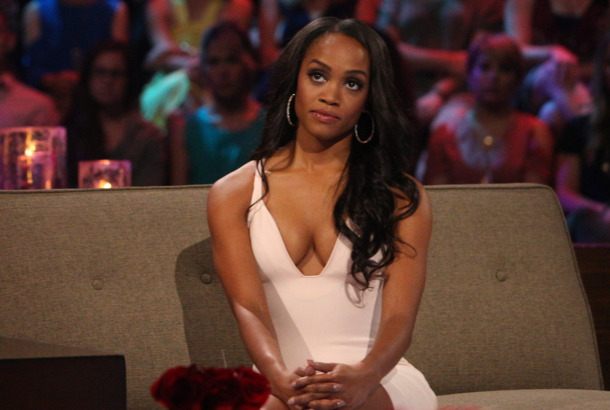 Watch Bachelorette Rachel Lindsay Meet Her First 4 Men EarlyFor the rest, you’ll have to wait until May 22. Love Is Officially Dead on The BachelorLong live our new favorite show, Bachelor subtext. The New Bachelorette Rachel Lindsay Came By Kimmel and Spoiled The BachelorThe reality series has tapped its first black bachelorette for next season. 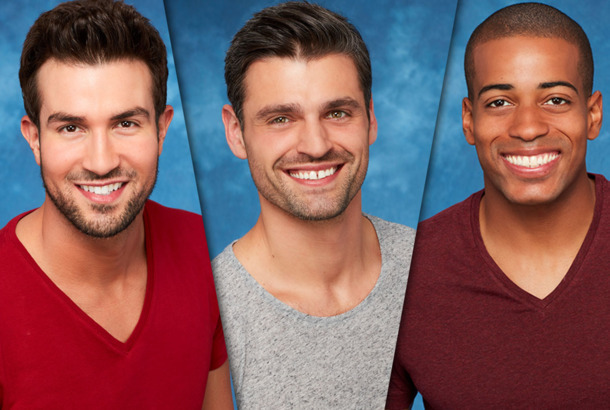 ABC Is Finally Getting Its First Black BacheloretteAt last, diversity.